According to the Banking Law of the state of New York, you cannot engage in money transmitting operations without being licensed. All professionals who want to conduct such activities need to obtain a New York money transmitter license from the state Department of Financial Services. The licensing procedure ensures that transmitters who are allowed to operate meet the necessary level of professional and business qualifications. Among the requirements you have to fulfill is posting a New York money transmitter bond. It guarantees you will follow all applicable laws. The rest of the steps that you need to undertake to start your money transmitting business in New York can be found below. 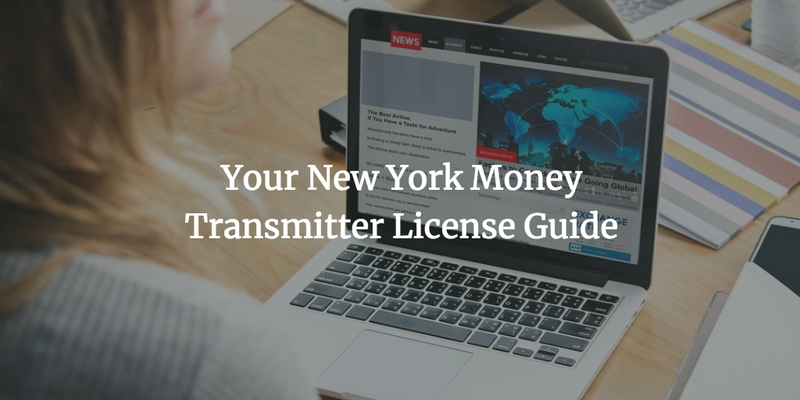 Applicants for a money transmitter license in New York need to undergo a rigorous process, which entails preparing and obtaining a long list of paperwork. As of 2017, the procedure is conducted via the Nationwide Multistate Licensing System and Registry (NMLS), but the New York Department of Financial Services remains the licensing body. You can find the full checklist here for further information about each of these requirements. Additionally, you may need to provide extra documents for each control person (Individual Form MU2), such as credit report, personal documents, and financial statement. The New York money transmitter license cost is $3,000, which is the amount of the application fee. The credit report is $15 per each control person. It’s worth paying attention to one of the requirements that you have to provide to get licensed – the surety bond. All money transmitters in New York have to provide a $500,000 bond in the official bond form in order to obtain their state license. The bond serves as an extra layer of guarantee that ensures you will follow the law. Thus, it provides protection for the state and for your customers against potential illegal activities on your side. In order to get bonded, you have to cover a small percentage of the required bond amount. This is your actual surety bond cost. For applicants with solid financial status, the typical percentages are about 1% to 5%. A range of factors influence the exact bond price you will pay. The most important ones are your personal credit score as the business owner. The audited business financials are also of great significance in the bond cost formation. The type of currency you are working with is also likely to influence the price. The more stable all these criteria are, the smaller your bond premium is likely to be. Still have questions about your New York money transmitter licensing and bonding? Our specialists are here to help. You can reach us at 877.514.5146.